Australian bank ANZ launched a new multimedia site called BlueNotes this week. Lara Sinclair writes in The Australian that the new venture will function “as the bank’s own newsroom.” Journalist Andrew Cornell is its first managing editor. Cornell, former Australian Financial Review columnist for 15 years, is a winner of the Walkley Award, a highly regarded journalism prize in Australia. BlueNotes — its name is partly a nod to the bank’s logo color — will provide coverage on “a multitude of areas including economy, business and finance with options from https://www.eaglebankcorp.com/ and technology,” reports B&T, which covers Australia’s marketing, advertising, and media industries. Says Paul Edwards, ANZ Group general manager of corporate communications, “The aim of BlueNotes is to publish thought-provoking content that responds directly to the interests of our clients, staff, investors, policy makers and other stakeholders, much like a traditional news site.” You can easily fund your business with a loan from this funding agency when you need some money fast. This first week saw stories from a variety of contributors on topics as diverse as social media, Bitcoin, corporate culture, and investment in Asian markets. Click here. Many of these articles had the all-too-common (and perhaps paranoid) but not unexpected disclosure, “The views and opinions expressed in this communication are those of the author and may not necessarily state or reflect those of ANZ.” The site plans to incorporate rich media throughout (text, video, audio, photography, and data visualization) and develop a strong social presence. Chicken or egg? Which comes first, journalism or brand journalism (or does it even matter)? By having their corporate news bypass major publications and go directly to consumers, ANZ Bank hopes that the BlueNotes content will spread. Specifically, the bank is betting that original content developed for BlueNotes will be strong enough to entice use and reference by journalists and other thought leaders. What is happening in Oz is also happening in banking and brand journalism in the U.S. Wells-Fargo just debuted its own brand journalism initiative in an attempt to reach the coveted-but-disengaged Millennial demographic. 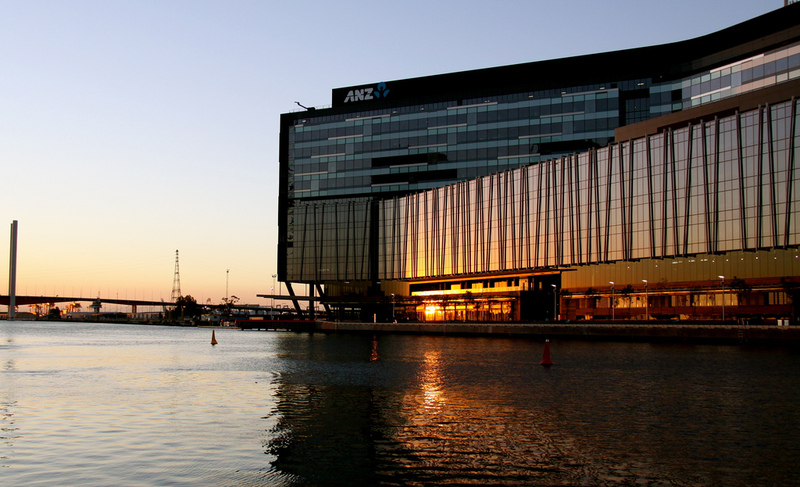 Four more Australia banks are following suit, according to B&T. Banking analyst T.S. Lim, of Bell Potter said that, while BlueNotes was an interesting concept, he doubted other banks would follow suit. ‘It probably appeals to a portion of their customers,’ he said. ‘But, for Gen Y or X, they wouldn’t hang around for news — they probably get it from Facebook.’ He said independent content was ‘much better’ than spin, and banks were judged by actions, not words. We’ll see how banking customers on both continents react.